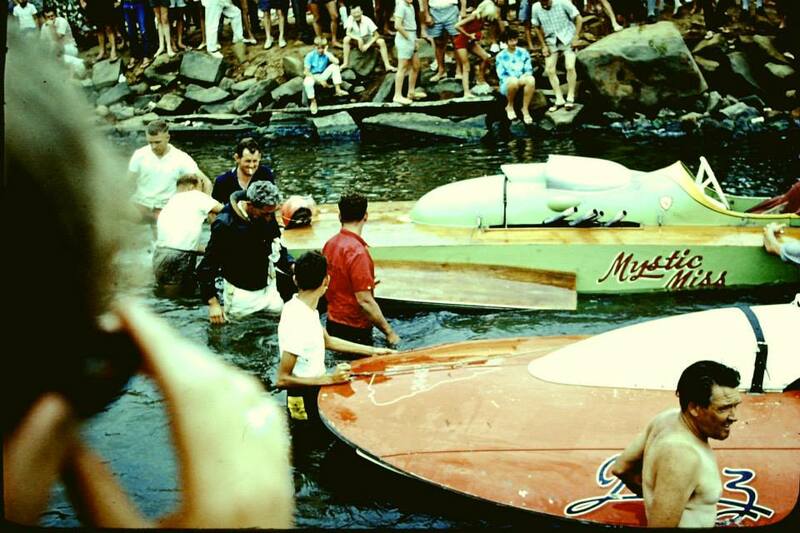 Speedboat racing was held on the Collie River at bent in the river where the old Scouts Hall is situated, the area is still known as "Speedboats" within some of the senior long time residents of Eaton. 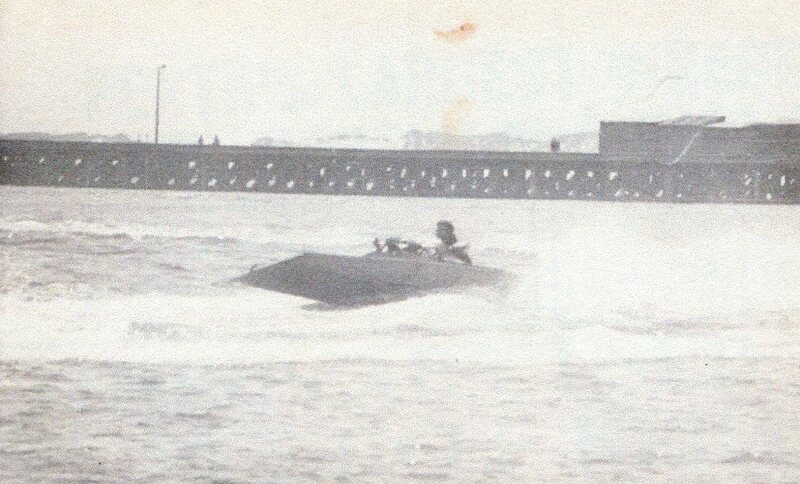 Bunbury motorcycle daredevil Stanley Waldo Catlet is one of the best known competitors to be apart of this early speedboat racing, Stan was know to terrorise the fishers and crabbers with his antics on the weekends, would later go on to race solo motorcycles at Claremont and travel to England with Johnny Hoskins to introduce solo speedway in its promoted form to the world, On returning from England Stan would die in a plane crash not for from Bunbury Airport, full story is available on the Lost WA: Bunbury Pre 55 page. 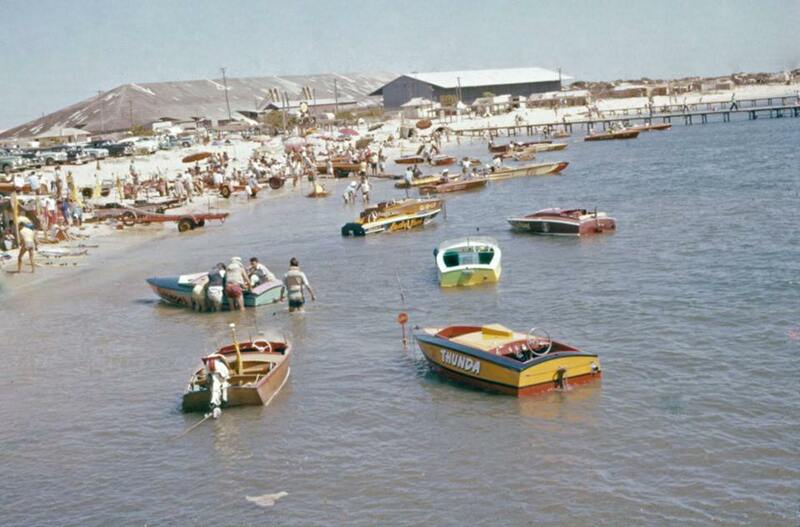 Speed Boat racing events were held on the Collie River during the 1960's, The racers would gather and pit at the elbow on the river and race toward the Eaton to Australind bridge, round the island and return to elbow, Large spectator crowds would gather along the many vantage points along the river. 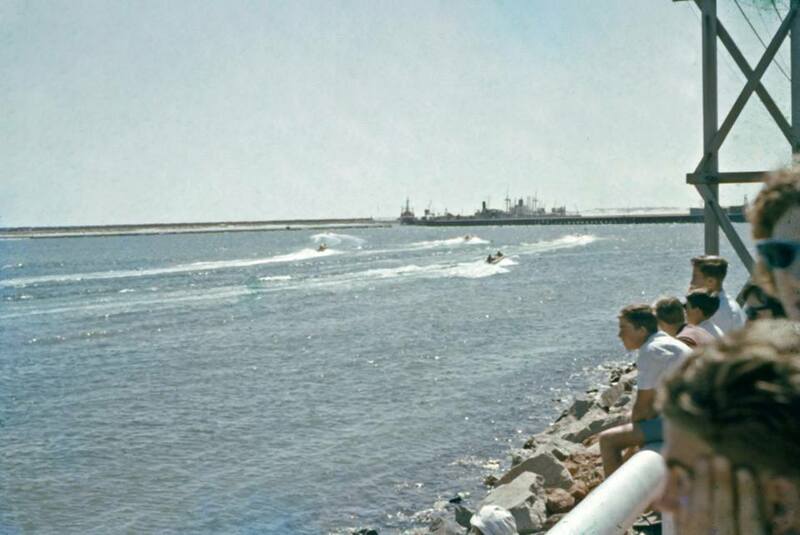 Speed Boat racing in Bunbury was very popular during the 1950's, The racing was held in the semi enclosed bay within the Bunbury Harbour, The harbour was man made with a massive amount of granite rock being carted in from a quarry on the Roelands hill, to form what was called, The Land Back Wharf. 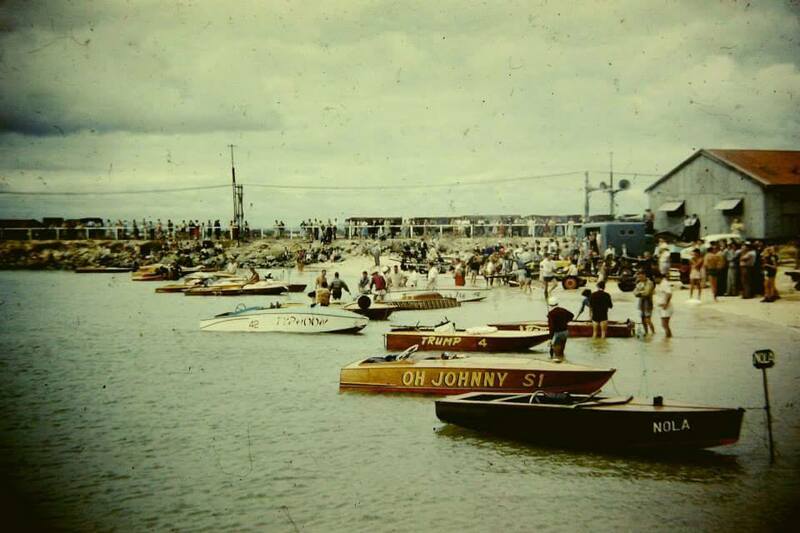 The race circuit was at the Jetty Baths a popular camping spot. 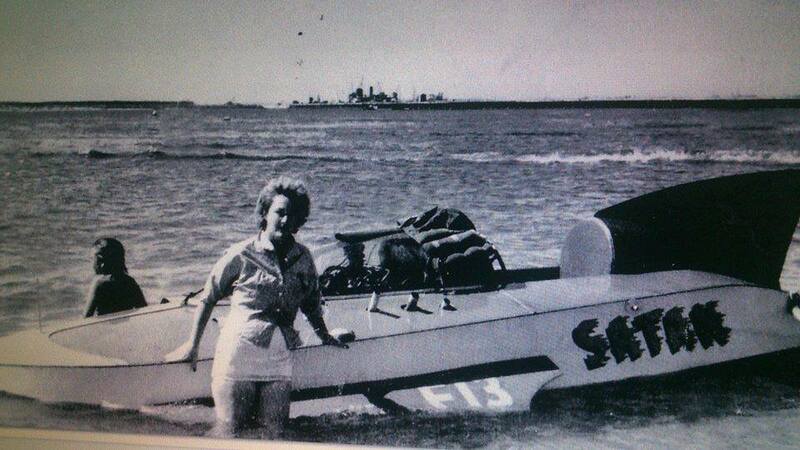 1955 Satan was a plywood Hydo racing boat, a single seater fitted with a Ford sidevalve V8 running twin carburettors and the exhausts exiting out through the deck of the boat. The front mounted engine was covered by a clear engine cover. Photo: unknown. Photo's from the Des Keeler collection.